Steem Monsters Common Card Fantasy Story Contest! // Week 17 // 10 Booster Pack Prize! 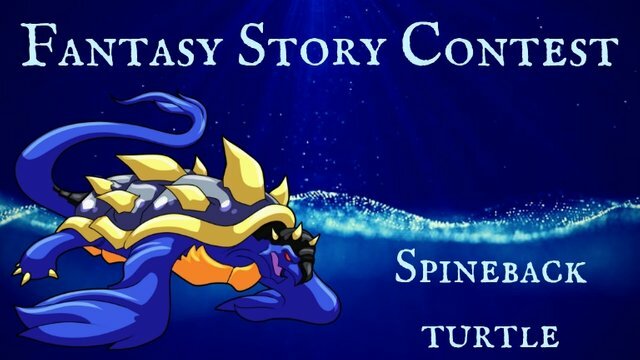 Steem Monsters Common Card Fantasy Story Contest! It's time for our 17th Common Card Fantasy Story Contest! Every week a card will be presented for you to create a fantasy background story. In order to participate in the contest, you will need to make a Steemit post on your own account with the story, then submit the link to your post in the comments of this submission post. The winner and runner ups will be announced on Friday, October 5th. The winner's story will become the official story in the game and on the website! 10 Booster packs will be split between the winners! 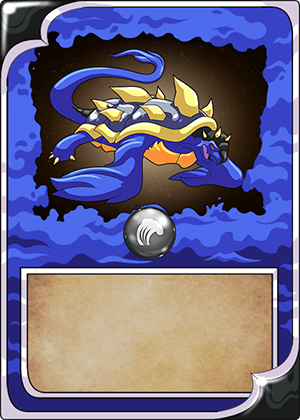 The Spineback Turtle is a Common card whose Element is Water. In order to create consistency among all the cards, we need a generalized story format which includes The Hero's Journey story arc and Elemental characteristics. The Hero's Journey in this case should be written from the perspective of the Spineback Turtle. You can also make a summary of roughly 20 to 30 words that could go on the front of the card. Visit the Steem Monsters Fundition and Become a Backer!!! Regards, @steemmonsters! I hope to have time to participate this time. Greetings. I am excited! This is the character I've been waiting for because I will be doing the voice. I like all the characteristics possible for a water element being shown here. If I may, add 'surly'? I'd like to be a gruff and surly character! You got a 71.52% upvote from @postpromoter courtesy of @yabapmatt! the spineback turtle sounds like quite the character... good opportunity to get some creativity juices flowing!